Beginning in 1871, the year after its lines first reached Duluth, the Northern Pacific Railroad began encouraging immigrants, mainly from northern Europe, to settle in Minnesota and what would become North and South Dakota. Northern Pacific conducted recruiting campaigns in Europe, including Germany, Sweden, Great Britain, Norway, and Denmark. To house these recruits upon arrival, the railroad built “reception houses” in Minnesota at Duluth, Brainerd, and near Moorhead. 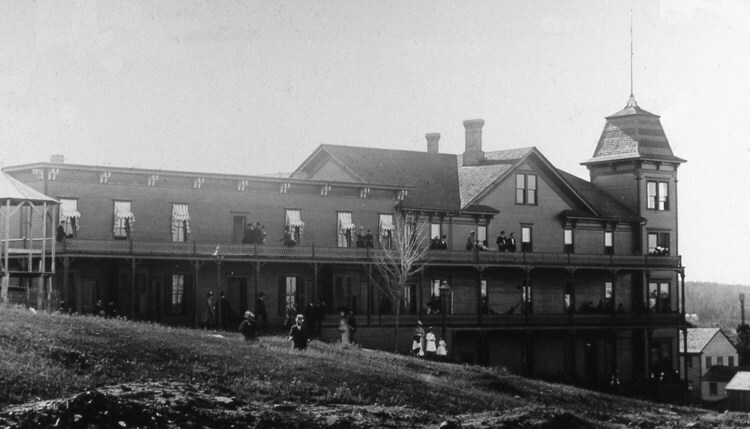 At one time Duluth had several immigrant houses which mainly catered to single men. Unmarried immigrants stayed in individual bedrooms and had access to furnished kitchens and parlors. But these large boarding houses, in which residents stayed rent free until they found homes or moved on, could also house entire families. Both of Duluth’s immigrant houses were located within half a block of the original Union Station, where they would have gotten off the train as they first entered Duluth.